The State of Mozilla 2017 is our annual report. This report highlights activities for 2017-2018 and is accompanied by detailed 2017 financials. This report is released when we submit the Mozilla non-profit tax filing for the previous calendar year. 2017 and 2018 have been years of the “techlash” — a growing chorus of sentiment along the lines of, “The Internet is broken! What can we do?” For half of humanity, digital life is online life. We are experiencing the glories of online life, where knowledge and opportunity abound in ways unimaginable a decade ago. We also see all the flaws of humanity on display, from violence to lies to exploitation to the control and seeming lack of accountability of a small handful of companies. For a generation we have looked to the big tech companies as the voice of what digital life could be. Today trust in the big tech platforms and their effect on life has eroded. The focus is becoming how to limit the effects of the tech platforms. There is a growing hunger for experienced and credible voices who can describe and build a better Internet. Mozilla seeks to help fill this void. Not alone of course — many participants are needed to create meaningful improvement in digital life. Mozilla plays a particular role — to bring the voice of world-class technologists, advocates and activists who are intimately familiar with the internet architecture, products and experiences into the creation of a better internet. For twenty years Mozilla has been at the heart of the internet/web platform, building core capabilities and product features aimed at security, privacy and individual empowerment and control. We share this capability with today’s giant tech “platforms” but we are radically different in our structure and motivation. Mozilla works to ensure the internet is a global public resource, open and accessible to all. We build consumer products to help make this internet a reality, with Firefox as our flagship product. We seek to give consumers choices so that we can use the power of consumers and the market as levers to build a healthier internet. Increasingly we are also developing new ways to bring policy, technology and committed people to impact issues from misinformation to the surveillance economy and manipulation of people through use of our personal information and behavioral profiles. Mozilla works with many others to pursue this goal. When the United States Federal Communications Commission attacks net neutrality or the Indian government undermines privacy with Aadhaar, we see people around the world — including hundreds of thousands of members of the Mozilla community — stand up and say, “Things should not work this way.” Whether you call this work open source or digital rights or internet health, there is a growing movement around the world of people who are actively trying to make the internet/digital life better. Mozilla is unique. Founded as a community open source project in 1998, Mozilla currently consists of two organizations: the 501(c)3 Mozilla Foundation, which backs emerging leaders and mobilizes citizens to create a global movement for the health of the internet; and its wholly owned subsidiary, the Mozilla Corporation, which creates products, advances public policy and explores new technologies that give people more control over their lives online, and shapes the future of the internet platform for the public good. Each is governed by a separate board of directors. The two organizations work in concert with each other and a global community of tens of thousands of volunteers under the single banner: Mozilla. Because of its unique structure, Mozilla stands apart from its peers in the technology and social enterprise sectors globally as one of the most impactful and successful social enterprises in the world. Recently when the world became aware of widespread data misuse by one of the most far-reaching companies to ever exist, we leveraged our experience to develop a software solution for users while also using our unique role as an advocacy group to lead campaigns to demand better data privacy and security. Guided by our enduring commitment to standing up for user transparency and choice, we leveraged our technical expertise and advocacy voice to call for changes within the platform. The Mozilla Foundation rallied hundreds of thousands of Facebook users to successfully push the company to fully eliminate the features Cambridge Analytica exploited, as well as testify about the Cambridge Analytica incident and related data privacy practices. After getting the facts on Facebook and Cambridge Analytica, Mozilla Corporation took several decisive actions. Guided by the Mozilla Manifesto, which says that, “Individuals’ security and privacy on the Internet are fundamental and must not be treated as optional,” Mozilla elected to press pause on advertising our products on Facebook. The move was widely celebrated. Several others followed our lead, sending a powerful statement that Facebook must take stronger action to safeguard its customers’ data. The Mozilla Corporation also released Facebook Container for Firefox - a version of Multi-Account Containers that prevents Facebook from tracking people around the web when they aren’t on the platform. Mozilla was ready to respond to this breaking news because of our long-standing engineering and advocacy efforts related to user privacy. In the months prior to the Cambridge Analytica revelations, the Mozilla Foundation called for a full investigation of the Equifax breach, which exposed the personal financial data of nearly 150 million American consumers, and was preparing a campaign that called on retailers to stop selling the Cloudpets toy due to privacy and security concerns. Mozilla Corporation was able to draw from its notable roster of privacy-centric product solutions including Firefox Focus, the advanced privacy protections in Firefox, and Multi-Account Containers, which allow people to manage various parts of their online life without intermingling their accounts. Everyone deserves both the right to keep their private information private and the power to control their own experiences on the web. Our response to the Facebook/Cambridge Analytica scandal represents the progress that’s possible when we utilize our products, technologies, and advocacy together. To lead, we need to evolve. To lead the charge of changing the culture of the internet, we need to do more to develop the direct relationships that make the Firefox and Mozilla experiences fully responsive to the needs of consumers today. It is no longer enough to build great products, package them up and put them out there for people to use. Over the coming years, we will become the leading provider of user agency and online privacy by developing long-term trusted relationships with "conscious choosers" with a focus on helping people navigate their connected lives. 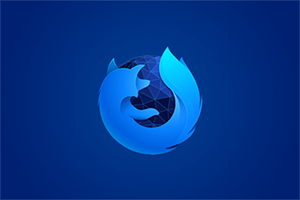 In 2018, we began taking the steps to soon be able to offer a fully connected and integrated Firefox experience directly to the people who use our products and services. Some of these efforts have also been designed to enable Mozilla to support revenue diversification and growth. By growing additional sources of revenue in addition to our successful search engine partnerships, we can continue to independently provide the products and services users want, and fuel the Mozilla Foundation’s movement building and advocacy work. We have undertaken this new work, while still remaining true to our roots and the transparent open source tradition in which we started. Mozilla Corporation creates products, advances public policy and explores new technology that give people more control over their lives online, and shapes the future of the internet platform for the public good. Building on the success of Firefox Quantum, Mozilla Corporation has a renewed focus on better enabling people to take control of their internet-connected lives as their trusted personal agent. In 2018, this has driven a focus on continuing the evolution of the Firefox browsers while we explore new products, technology and business models to better serve our users and advance our agenda for a healthier internet. With the relaunch of the Firefox Quantum desktop web browser in 2017, the focus has been on testing and introducing a variety of new web-based products and services. Millions of people have relied upon Mozilla products as their trusted resource for desktop and mobile web browsing. Billions benefit from the open web platform we have championed. The internet now permeates everyday life. People connect across multiple devices. Personal data is now the source of power and influence over individuals, outside of their control and to the benefit of bad actors and the world’s largest companies. People are outclassed and the user agents of the past are no longer sufficient to deliver upon our vision of the future. We have led a cultural shift with a growing and influential market of consumers waking up and demanding more. We expect this shift to accelerate, and now is our opportunity to evolve to become the leading provider of user agency and privacy online. 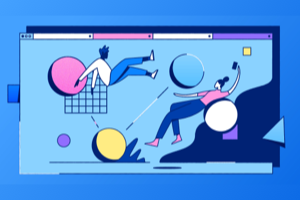 The overhaul of our core browser has given Mozilla Corporation the ability to begin the exploration of new user engagement and revenue models derived from Firefox to meet these ambitious goals. Specifically in 2018 we began testing in Firefox a new paid virtual private network (VPN) service and a password manager called Lockbox which is currently being offered for free. Over time, with deep engagement with our users, we expect to offer premium solutions. For instance, our market tests drove our decision to integrate Pocket recommendations and sponsored content into the Firefox new tab experience. In 2018 we also launched Firefox Monitor, a free service which allows people to check whether their email address has been a part of a recent security breach. We’ve integrated this notification feature into the Firefox desktop and mobile browsers so users know if sites they are visiting have been recently breached. The Monitor service is now offered in 20 languages worldwide. 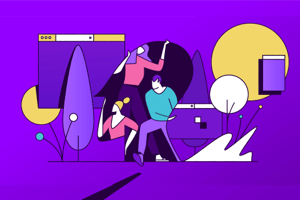 Additionally, given the scope of our ambition to change the culture of the internet, the Mozilla Corporation has also evolved its partnership model so we can work in concert with like-minded technology providers to test and develop new security-focused protocols like DNS over HTTPS and Encrypted Server Name Indication - both of which we’ve partnered with Cloudflare to test in the U.S. market. We’ve applied our new partnership model to marketing efforts as well, developing unique collaborations with partners from ProPublica to artist collectives to bring information and product experiences to consumers in surprising ways like the Glass Room in London, the Firefox Election Bundle and the Data Leeks awareness campaign, as well as an award-winning podcast IRL. Our exploration of these new arenas and partnerships is a good complement to our ongoing focus on making Firefox the most performant web browser available. To that end, we have begun rolling out a new approach to limit online tracking called Content Blocking that protects user privacy while still enabling publishers and advertisers to reach their intended audiences and users to access and discover relevant worthwhile content. We are also looking to the future, identifying the smart bets that will enable Mozilla to stay at the leading edge of innovation. In 2017 we launched Firefox Rocket in Indonesia, a lightweight browser designed specifically to meet the needs of consumers in this emerging market. Based on user feedback, Rocket was rebranded as Firefox Lite in 2018 and updated to include a feature that allows users to save web pages for offline reading. Mozilla’s growth isn’t limited by geography. In 2018, the mixed reality team at Mozilla Corporation brought Firefox to another dimension with the launch of a new web browser that has been designed from the ground up to work on stand-alone virtual and augmented reality (or mixed reality) headsets. Firefox Reality is available in the Viveport, Oculus, and Daydream app stores. Our Common Voice project is crowdsourcing global voice data to protect the ability for many to contribute to the development of speech-enabled products and services, instead of just a handful of large companies. Mozilla Corporation’s global efforts are not limited to production development and innovation either. Sitting at the nexus of product and policy, Mozilla is a trusted, independent voice in the development of legislation, business practices and industry standards that shape the web internationally. As an example, Mozilla Corporation’s policy team has been instrumental in highlighting the need for strong data protection measures in India as a way to protect personal information collected by Aadhaar, India’s biometric identification system that has seen several high-profile security lapses. We’ve also been working on privacy and data protection globally, including in the United States, Brazil, the European Union, and Kenya. As the internet grows more and more centralized, Mozilla is working to establish interoperability as a key piece of competition online, engaging with policymakers in the United States and the European Union. Disinformation and misinformation online are undermining stability and democracy around the world, and the road ahead is long. Working with industry allies in Brussels, Mozilla is leading the way to identify practices and principles that will make a real difference, including examining responses to fake news. Mozilla continues its leadership on net neutrality through litigation and legislative advocacy in the United States and India. Mozilla led the industry and civil society coalition that produced a new government vulnerabilities equities process charter, improving transparency and due process in how the U.S. government handles security vulnerabilities it discovers - and then we took that agenda to Europe, and are continuing our advocacy in Brussels. With the European Union nearing the end of a lengthy copyright reform process, and moving to adopt dangerous restrictive proposals that would harm creativity and innovation online - Mozilla continues our years-long fight to improve the outcome as best we can. In addition to building products and technology, Mozilla also invests in people and organizations around the world who share its mission. This movement building work is carried out by the Mozilla Foundation in concert with hundreds of allied organizations around the world. Our work has taken center stage this year as the threats - and opportunities - facing the internet and its users have come into focus. With every news story about a massive data breach, a hacked election or the way platforms track users’ every move around the internet, people are seeking information about how they can protect themselves and what they can do to keep the internet secure, open and accessible for all. Through a combination of research, advocacy and inspiring leadership, the Mozilla Foundation is guiding the way forward. Our advocacy campaigns push back against the worst violations of user privacy to demonstrate that the global internet community cares and that we expect companies to do better. Our internet health leaders offer research, insight and guidance on what’s possible in the future so we define what’s possible in our connected lives. And our internet health agenda tracks what’s working, where and why to leverage our movement’s investments for the most global impact. Our core program areas work together to bring the most effective ideas forward, quickly and where they have the most impact. As a result of our work, internet users see a change in the products they use and the policies that govern them. Focusing​ ​–​ ​and​ ​amplifying​ ​–​ ​the​ ​internet​ ​health​ ​agenda. 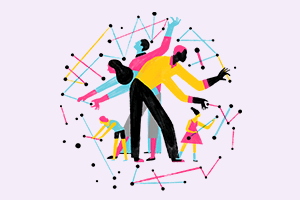 Leveraging our network of internet health leaders, the Mozilla Foundation produces the annual, open source Internet Health Report to document and shine a light on what’s happening to the wellbeing of the internet. Combining research from multiple sources, we collect data on five key health indicators (privacy and security; open innovation; decentralization; web literacy; and digital inclusion) and offer an initial and ongoing prognosis for each. This report sets the definitive agenda for internet health, which helps fuel this global movement by making it a mainstream issue. In 2017, Mozilla spent $966,365 on its agenda-setting work. Mobilizing​ ​a​ ​critical​ ​mass​ ​of​ ​conscious​ ​internet​ ​users.​ ​The internet health movement’s greatest asset is the internet’s users. Like Mozilla, internet users around the world value the open, accessible web and they will fight for it. In response to the increasing threats online, consumers are becoming increasingly opinionated and activated, ready and willing to fight for their privacy and security online. Mozilla is there to support and guide this consumer advocacy, using our technical expertise and community of 1.5 million and growing advocates as key assets to drive change. Our consumer mobilization work has included public education and campaigns around key threats to internet users including personal privacy under India’s Aadhaar biometric system, copyright reform in the EU, Facebook’s cross-site tracking practices and its use of two-factor authentication for advertising, and net neutrality in the US. Our unrelenting focus on the rights of consumers has led to products being pulled from shelves, companies changing or amending their practices to focus on consumers’ best interests, and, most recently, proposed minimum standards for tackling IoT security. We’ve made significant progress in changing the way companies think about privacy and security online. Our campaign challenging Amazon on its data protection policies for the Echo Dot Kids led the online retail giant to clarify its policies. We led a successful effort to call on retailers to pause sales of Cloudpets, a toy that had significant security flaws. The campaign was a joint effort with consumer, children and technology organizations including the Campaign for Commercial Free Childhood, Center for Democracy and Technology, Center for Digital Democracy, Consumer Action, Consumer Federation of America, Consumers International, Color of Change, Common Sense Media, Electronic Frontier Foundation, Norwegian Consumer Council, Open Mic, Story of Stuff, and USPIRG. As leaders in internet health, we’re also paving a way forward by suggesting practical, achievable standards for internet products and services. For example, in response to increasing consumer concern and confusion, we developed minimum security standards for internet connected products alongside Consumer International and the Internet Society. These minimum standards are useful for consumers and retailers who are buying, selling and designing devices connected to the internet. We put these standards to use ourselves to evaluate products reviewed in this year’s *Privacy Not Included holiday buyer’s guide. In 2017, Mozilla spent $2,733,016 to support our mobilization work. Investing​ ​in​ ​and​ ​connecting​ ​internet​ ​health​ ​leaders.​ When the media seeks to understand a breaking internet news story or a government official wants to understand what policies may be most effective, Mozilla fellows offer insight, solutions and inspiration. Through our leadership program, Mozilla finds, supports and connects a new wave of leaders through our fellowships, awards and open leaders training. In this way, we’re seeding the internet health movement with a strong, connected and diverse leadership cohort for the years ahead. Our fellows have spoken out and moved the needle on issues such as Aadhar in India and misinformation, and exposed privacy and security concerns around common payment apps. Mozilla has raised the profile and substance of the debate around these issues. Fellows such as Renee DiResta continue to challenge the status quo of misinformation and help educate the general public on the dire effects of these trends. And, current fellows including Clara Tsao, Camille Francois and Stefania Koskova push for change through their research and advocacy in this space. And, our fellows, including Amba Kak, have been instrumental in leading the charge on key issues including the fight for strong data protection law in India. The Foundation also carries out this work through grant programs that support initiatives like the WINS Challenge (Wireless Innovation for a Networked Society) to connect the unconnected and the Responsible CS challenge to embed ethics into computer science programs. Additionally, the Foundation convenes leaders around the globe at events like the Mozilla Festival, which gathers 2,500 like-minded internet health advocates annually. In 2017, Mozilla spent $13,256,720 to support the Mozilla Leadership Program. Overall, Mozilla invested $24M in this work in 2017. Total revenue and income support to the Mozilla Foundation in CY 2017 was $20.6M. $10.1M of this revenue came from the proceeds from Firefox, which are transferred from Mozilla Corporation to Mozilla Foundation through a trademark royalty agreement. An additional $4.2M came from public donations made by 250,000 people. $5.6M came from partnerships with allied organizations like the Ford Foundation, the Knight Foundation and the Siegel Family Endowment. A full list of 2017 funding partners is outlined in our Form 990. We are grateful to the tens of thousands of supporters who signed petitions and took actions on these issue over the last few years. Mozilla believes that attracting diverse talent that is motivated, creative and passionate is crucial to our success. We want to attract and retain that talent while ensuring total compensation is competitively reasonable and aligned with Mozilla’s culture and mission. While the compensation philosophy is similar between the Mozilla Foundation and the Mozilla Corporation, the market frameworks used to benchmark total compensation are different given the nature of work and the talent required. Building and fostering a diverse and inclusive organization is core to who we are at Mozilla. For example, in 2017 we updated our Community Participation Guidelines to create a safe and positive community experience for all Mozillians. While we still have much work to do, we have begun to measure and make inroads in maintaining a more visibly diverse workforce. We continue to develop policies and practices, and take public stands that foster and make clear our commitment to building a more inclusive work environment. With over 1,000 full-time employees worldwide, Mozilla Corporation employee compensation is benchmarked to market by role and level balancing total compensation between individual and company performance with a pay-for-performance compensation model. For non-executive roles, we employ a market framework of 20 top public and private tech companies that we compete with for talent. For VPs and above, we benchmark compensation against a blended peer group comprised of 70% similarly-sized public and private tech companies and 30% non-profit organizations. This approach serves to reinforce our mission-first orientation. Consistent with market best practice, at least 70% of compensation for senior leadership is “at risk” and tied to individual and company performance. Performance and compensation policies are reviewed and approved annually by a Compensation Committee comprised of independent members of our Board of Directors. All employees, including senior leadership, in addition to base salary and benefits, share the same variable “at risk” components of pay: 1) an individual bonus based on performance against individual goals, and 2) a company bonus based on our performance against company goals. Mozilla Foundation non-profit programs are carried out by 80 employees and thousands of volunteers around the world. For the Mozilla Foundation, the core goal of the compensation philosophy is to attract, motivate and retain top talent while ensuring total pay is competitive and reasonable in relation to our nonprofit status. We benchmark against a peer group that reflects the unique nature of our organization and aim to provide an appealing, flexible and market-appropriate total compensation package. As always, revenue from Mozilla Corporation and donations to Mozilla Foundation are reinvested into advancing the Mozilla mission of protecting internet health. Firefox users and Mozilla Foundation contributors also have the knowledge that they are supporting the Mozilla mission with their payments and contributions. This annual report includes the below links that detail audited 2017 financial statements for Mozilla. Today, the majority of Mozilla Corporation revenue is generated from global browser search partnerships, including the deal negotiated with Google in 2017 following Mozilla’s termination of its search agreement with Yahoo/Oath which required ongoing payments to Mozilla that remain the subject of litigation. In CY 2017 Mozilla Corporation generated $542 Million from royalties, subscriptions and advertising revenue compared to $506 Million in CY 2016. A portion of search revenue combined with grants and donations is used to fuel the advocacy and movement building work of the Mozilla Foundation and its broad network of supporters of Mozilla’s mission. The combined efforts of the Mozilla Foundation and Mozilla Corporation contribute to the overall sustainability and health of the internet. Our mission is to ensure the internet is a global public resource, open and accessible to all. This mission is as important now as it has ever been. We urge everyone who is interested to find a way to contribute to protecting the internet. We invite you to download Firefox or volunteer to be part of Mozilla or donate to support the work of internet health leaders around the world. Learn more at mozilla.org.